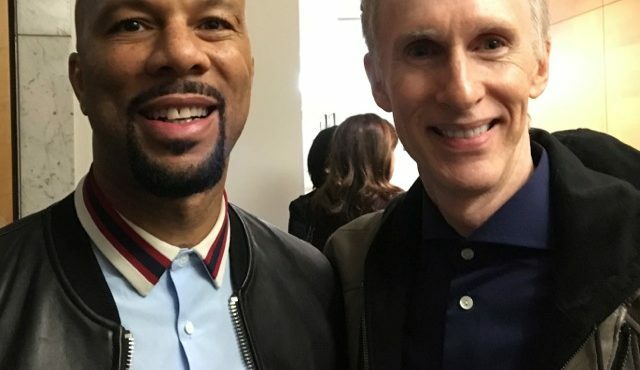 It was a pleasure to meet hip hop artist Common recently. Not normally a rap fan, the powerful song “Stand Up for Something” by Dianne Warren and Common made me a believer in Common’s life affirming rap. Lyrics like “Ain’t here to judge, just to take a stand, The greater plan’s the Creator’s plan, Let’s all rise like the day began, Reach out and touch with the Savior’s hand, On rock, we stand like this native land, Let the ways of love be the ways of man” could be a daily affirmation. Way to go Common and Dianne!